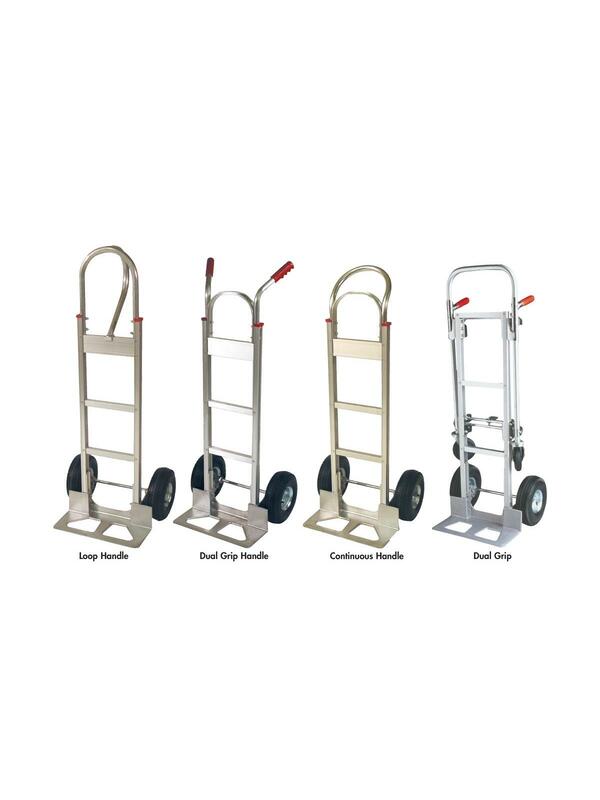 Durable aluminum construction handles loads up to 600 lbs. 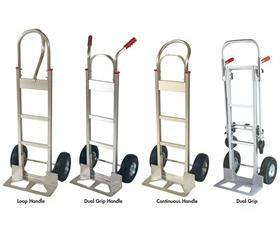 Lightweight aluminum handtrucks are easier to maneuver and have more balance and overall performance than steel handtrucks. Completely user friendly. Heavy duty construction features. Rolls quietly on full or semi-pneumatic tires. FOB Shipping Point. Rugged 800 lb. load capacity. 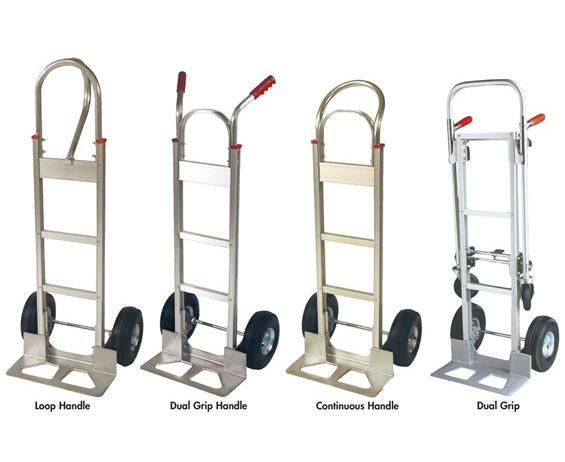 A high capacity convertible handtruck that easily converts from a 2 wheel handtruck to a 4 wheel platform truck. Features a high strength double locking cam mechanism that securely locks the pivoting handle. Frame and cross tubes are made of heavy duty extruded aluminum. Swivel casters are 5" x 1-1/4" thermoplastic rubber with tread guards. FOB Shipping Point.